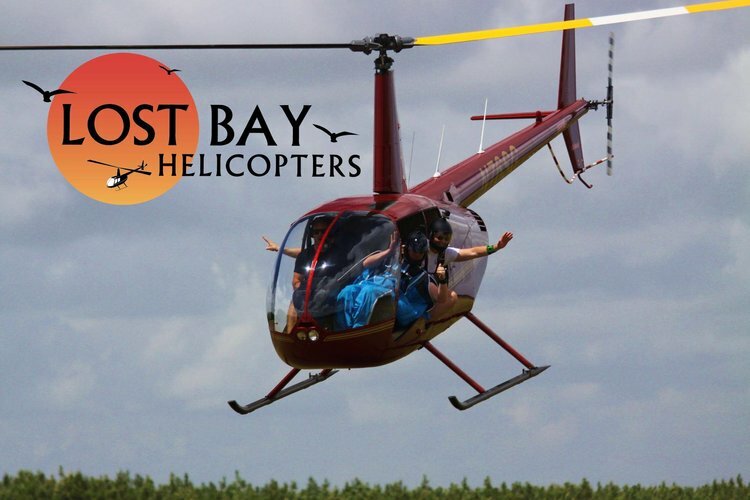 Lost Bay Helicopters is a veteran owned and operated helicopter company. Our mission is to bring an affordable and reliable flight provider to Gulf Shores, AL. We aim to build a foundation of trust with the local community and support tourism in the area and surrounding community. Our team is safety focused and aimed at quality customer service. We provide various commercial services, flight training, and custom tailored packages to fit your every need! Take in sky high views of beautiful Gulf Shores from a window seat of our helicopter. Create a lasting memory with friends and family. We will beat any competitor's price! Look ma, no hands! We will host or support skydiving events throughout the Gulf Coast area. Our perfectly good helicopter is great for jumping out of! Request Lost Bay for your next jump! Start your journey! We provide private, commercial, instrument, and CFI/II training. We also provide flight reviews, annuals, and ground instruction. We can make your dream into a reality!